Listen, we’ve all done things we’re not proud of. You just happened to be a spoiled, entitled, rich heartless jerk who got caught out by a beautiful enchantress disguised as a haggard old woman who didn’t see any love in your heart and so she cast a spell on you! Could’ve happened to any of us! Well, maybe not any of us…some of us aren’t super rich and live in a castle and have tons of servants who then got cursed right along with us (as if they didn’t already have a crap job of spending their lives serving someone who most likely was the worst when it came to waitstaff even before the spell). But that’s neither here nor there - what’s done is done! So now you’re a horribly disfigured monstrous beast whose (probably fake) friends have literally all forgotten about him, leaving you with nothing to do but wander around your decaying castle and stare forlornly at an enchanted rose while you feel sorry for yourself. Luckily for you, you’ve still got your also-enchanted servants to order around and take all your frustrations out on! (Seriously, though, we have a real problem with this part of the story. Like, don’t you feel bad at all that they had the bad luck to serve a master who was such a garbage person that they got cursed right along with you? Has it occurred to you that it’s your job to save them, as well as yourself? No? Alrighty, then. Looks like that Enchantress was right on the money!). 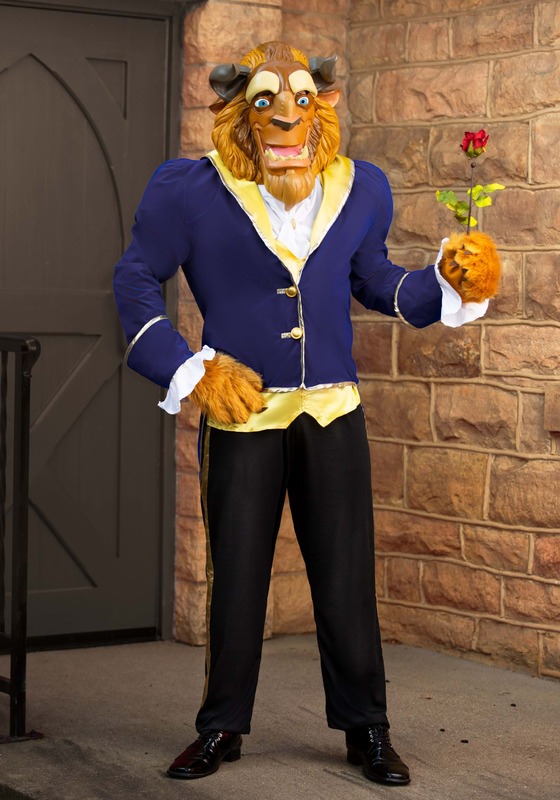 Anyway, even though your social life is non-existent and your moral character is totally shot, you should still keep this Adult Beast Ultra Prestige Costume around just in case some good-hearted, book-loving brunette comes stumbling into the castle to inspire you to love and thus break the spell! 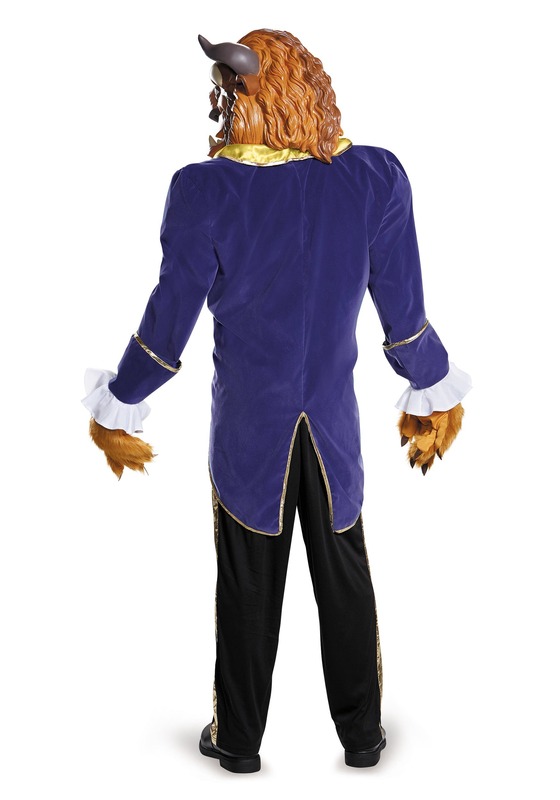 Which is a long shot, and frankly we're only hoping it happens for your long-suffering servants' sake, but still, if it does, at least you'll look somewhat dashing in the regal coat, frilly cuffs, and yellow satin details. We can't make any promises on the "charming" part, but hey...we're rooting for those servants!